The AnyLoad 101NSGS Stainless Steel S-Beam Load Cell delivers reliable and accurate weighing for a broad variety of industrial and technical weighing applications. 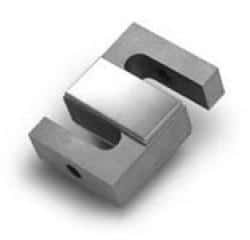 AL-101NSGS is available in 50lb-20,000lb rated capacities and is constructed with 17-4PH stainless steel material. The AnyLoad 101NSGS Stainless Steel S-Beam Load Cell comes with a protection IP Rating of IP67 as well as is environmentally seal. The AnyLoad 101NSGS Stainless Steel S-Beam Load Cell comes with NTEP, OIML, CE, Explosion Protection and RoHS Certificates of Conformity and Measurement Ukraine Certificate Approvals and it is securely packaged to ensure the product’s safety.